Are you looking for the finest bathroom refurbishment Bournemouth has to offer? If so, your search is over now that you have discovered Franks Group. We pride ourselves on creating homes that our clients have only ever dreamed about, and all at superb value for money. To find out more, get in touch with our friendly and helpful team by calling us on 01747 826656 today. Are you finding yourself wishing that you could transform your bathroom into your very own heavenly sanctuary? 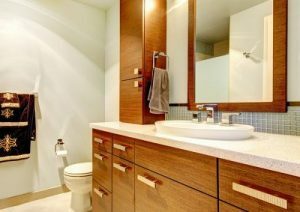 Do dated décor and broken appliances mean that your bathroom is calling out for some much needed TLC? If so, there’s only one company that you need to call for your bathroom refurbishment in Bournemouth; Franks Group. Do you prefer coming home after a busy day at work and enjoying a luxurious soak in the tub? Or a refreshing revitalising shower to kick-start your day? Whatever style preferences or tastes you have, no request is too big or small for our dedicated, talented and highly skilled team of experts. We also offer painting and decorating services, as well as tiling, to give your beautiful bathroom a brand new lease of life. To find out more about the most exceptional bathroom refurbishment, Bournemouth has to offer, get in touch with our friendly and helpful team by calling us on 01747 826656 today. Whether you’re looking to create your own personal haven or revamp your property to increase its value, a bathroom refurbishment is a worthwhile investment. Perhaps you’re looking for traditional fittings to encapsulate your love for vintage styling? Or more modern or contemporary accessories to create a simply stunning, sleek and stylish bathroom? At Franks Group, we pride ourselves on being able to offer just that. Not only that, but we offer our exceptional service at highly competitive prices, and we can tailor our refurbishments to suit a range of budgets. With this in mind, you’ll receive an outstanding Bournemouth bathroom refurbishment at an exceptional value for money. In addition to providing the most exceptional bathroom refurbishment Bournemouth has to offer, we also provide an array of services to transform your home truly. From repair and maintenance, kitchens and mobile scaffold tower hire, to landscaping and paving, facilities management and more, Franks Group are here to help. Why choose Franks Group for your Bathroom Refurbishment in Bournemouth? At Franks Group, we pride ourselves on having many years of experience, a dedicated team of highly experienced team of experts and only the most exceptional customer service. With this in mind, it’s no wonder we’re considered providers of the best bathroom refurbishment Bournemouth has to offer. Do you still need convincing that Franks Group offers the best bathroom refurbishment in Bournemouth? Have a look through our online gallery, which showcases some of the outstanding projects we have completed for many domestic and commercial clients. You can also read through some of our case studies, which demonstrates our team’s superb expertise, consideration and excellent customer service. So, what are you waiting for? The most exceptional bathroom refurbishment Bournemouth has to offer is merely a phone call away, so get in touch with our friendly and helpful team to find out more today. To find out more about the most exceptional bathroom refurbishment, Bournemouth has to offer, get in touch with our friendly and helpful team by calling us on 01747 826656 today. Alternatively, you can email us at info@franksgroup.co.uk, or fill out our simple online enquiry form, and we’ll get back to you as soon as possible.